Do you like North Shore? Laniakea Beach is also known as Turtle Beach because it is the place to see the green sea turtles that Hawaiians call "honu". The honu are a protected animal and cannot be touched, but many tourists like to stop at the side of the road and watch them. On the beach there are always two or three people who work as volunteers to protect the turtles and ensure that no one approaches or touches them. 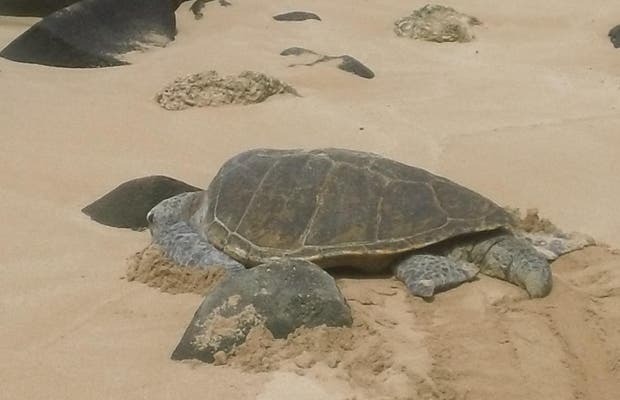 A trip to Hawaii would not be complete without seeing a honu.